“Just wondering if an app is coming out soon for Fastweb because it's easier for my friends and I to use your service on our smartphones. It'd make everything so much better.” –Jo’Nelle G.
Well, students, it’s finally here! You asked and we listened. 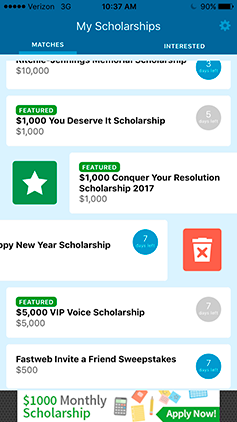 Now announcing the launch of a brand new Fastweb College Scholarship app, available to download free on both iOS and Android devices. 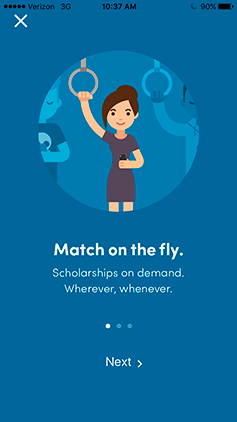 At Fastweb, our main goal is always to make it easier to apply for scholarships. So, when students asked for an app, we thought it was a great idea and got straight to work on it. And, we think you’re going to love the convenience of scholarships on the go. The app is free to download, easy and convenient - all you need to get started is a Fastweb account. 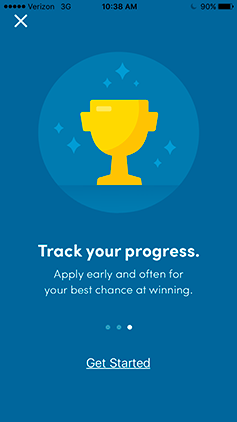 Once you have set up your Fastweb account online, simply download the app and log in to your Fastweb account to get started. Students will find that the app is simple and straightforward to use, too. When you log in, you’ll see a list of scholarships which you qualify for based on your Fastweb profile. You can swipe right to mark you’re interested in applying or left to indicate you’re not. You’re also able to mark details, like when you’ve applied for or won a specific scholarship. And you can navigate to application pages and apply to scholarships right from your phone. Remember, the app is new, which means it may have some kinks. We’re constantly working to improve your experience and would love to hear any feedback you may have on how we can do so. If you have any complaints, suggestions or reviews that you think could help, please email us at info@fastweb.com with your thoughts. 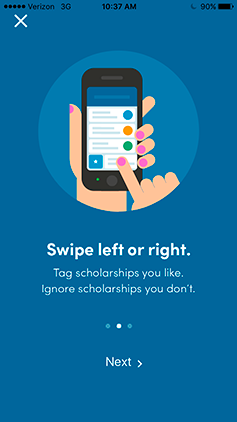 Download the app for free on iOS or Android devices today and experience the future of scholarship searching.